Strong uptake on Mimaki Tx300P from both the education sector and within the textile printing industry. 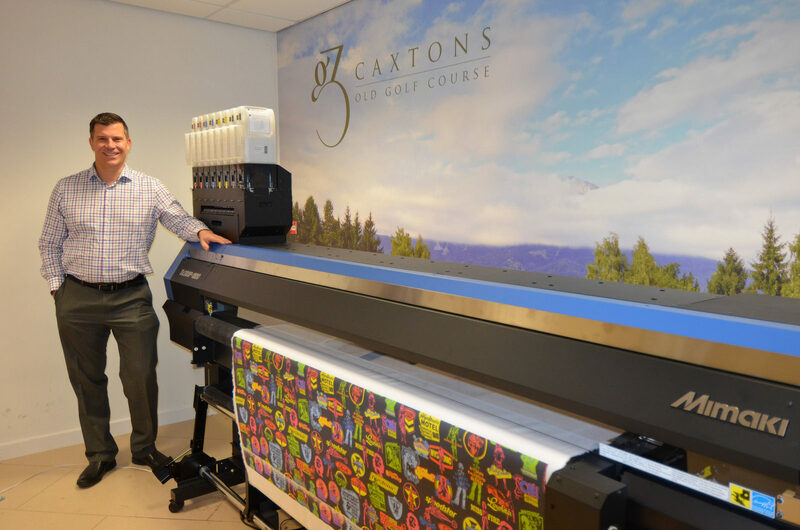 Hybrid's National Sales Manager - Textile & Apparel, Stephen Woodall with the Mimaki Tx300P-1800 printer in the company's showroom. Following its unveiling during ITMA Milan, the popular Mimaki Tx300P-1800 has put the manufacturer at the forefront of direct-to-textile printing bringing a flourish of UK & Irish installations of this versatile printer. 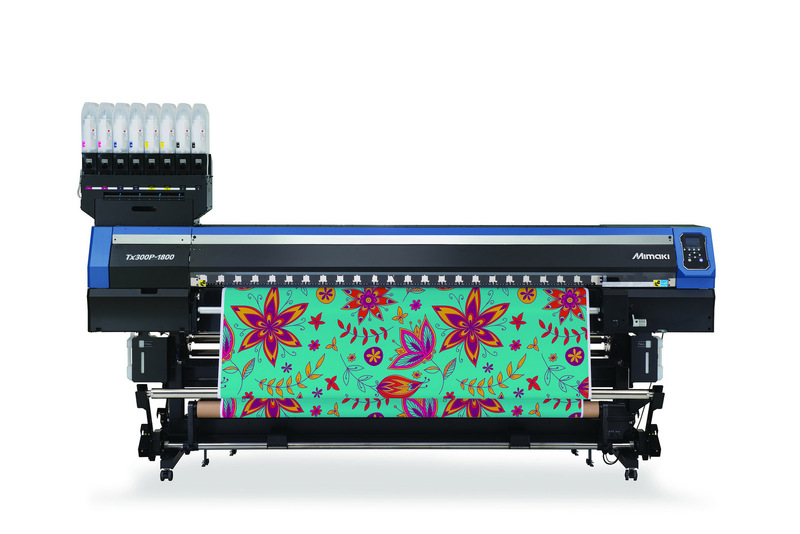 The Mimaki Tx300P-1800 inkjet printer is ideal for printing high quality output on all types of fabrics, including thicker and textured materials. This is made possible as the print-head height is adjustable from 2-7mm. The increased speed at which the ink droplets are fired also ensures accurate ink placement with the high head gap. The Tx300P is designed as an entry-level model and with its compact footprint, fits perfectly in places with limited floor space, such as design studios or school facilities. Customers can arrange a demonstration of the Mimaki Tx300P-1800, or any of Mimaki’s other products at Hybrid’s showroom by telephoning 0044(0)1270 501900. Additionally, an extensive selection of Mimaki Textile & Apparel products are available to view across the UK and Ireland through Hybrid’s specialist Textile and Apparel resellers.